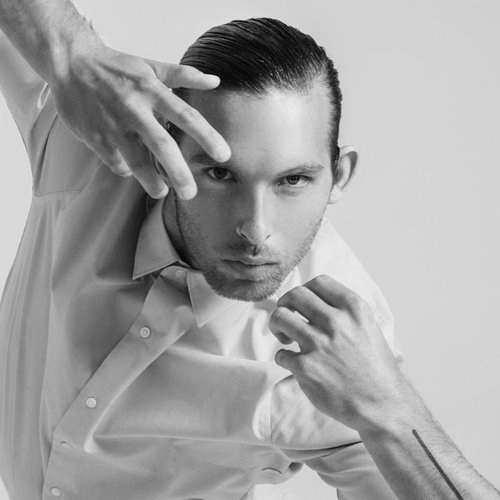 Coming from the San Francisco Bay Area, Will Johnston received the majority of his training at A.K.A Dance Company under the direction of Kelly and Alex Velasquez. Will holds an M.F.A. in Dance from the University of California: Irvine as well as a B.F.A in Dance Performance, a B.F.A in Dance Choreography, and a B.S. in Mechanical Engineering. Credits include Clear Talent, Sonya Tayeh, Stacey Tookey, Justin Giles, Erica Sobol, Donald McKayle, Loretta Livingston, Jodie Gates, Wade Robson, Tyce Diorio, Teddy Forance, Christopher Scott, Phillip Chbeeb, So You Think You Can Dance, Dancing with the Stars, Glee, Son Lux, Sigur Ros, FARR, Deborah Cox, Jordin Sparks, X Ambassadors, Katy Perry, and Rita Ora. In addition, Will is the co-director of Entity Contemporary Dance and a faculty member at West Coast Dance Explosion, Murrieta Dance Project, and Chapman University. He has taught and choreographed across the United States, Canada, Singapore, Hong Kong, Indonesia, Taiwan, Japan, and Australia. Most recently, Will Johnston along with co-director of Entity Contemporary Dance, Marissa Osato, were awarded 1st place for their work “PEEL,” at the 2017 Capezio Ace Awards. A Los Angeles native, Marissa Osato is a choreographer, director, and educator who creates emotionally-driven, embodied narratives to find cross-cultural universality within shared experiences. Marissa is the co-founder/co-artistic director of Entity Contemporary Dance, an LA-based dance company rooted in a fusion of urban and classical dance techniques that has taught workshops and performed original repertory in the U.S. and Asia. Marissa earned an MFA in Choreography from California Institute of the Arts, and a BA in Dance and BA in Literary Journalism from the University of California, Irvine. As a dancer and choreographer, Marissa has performed on television shows such as The Ellen DeGeneres Show and FOX’s So You Think You Can Dance and has worked with recording artists such as Imagine Dragons, Coldplay, Rihanna, Kelly Clarkson, Patti LaBelle, Chaka Khan, Deborah Cox and Jordin Sparks. Marissa has taught contemporary dance master classes at and set choreography on over 50 studios and colleges across the U.S. as well as in Asia, Australia, Canada, Europe, Guam, and South America. Drawing from contemporary, jazz, modern, and street dance techniques, Marissa’s movement language is grounded, quick, and intricate, mixing both quiet and explosive gestures. Her work exhibits a sense of groundedness and abandon, of rhythm and dynamism, of stillness and intimacy. As the 2017 Capezio A.C.E. Awards winners, Marissa and co-director, Will Johnston, will be premiering a new evening length work for Entity Contemporary Dance in Los Angeles in March 2019. Also, as a winner of Joffrey’s 9th Annual Winning Works Choreographic Competition, Marissa will create a new work on the Joffrey Studio Company and Joffrey Academy Trainees that will premiere at the Museum of Contemporary Art Chicago’s Edlis Neeson Theater in March 2019.